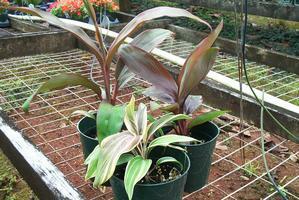 Description: Ti Leaf (Cordyline) is a common plant grown in Hawaii. The varieties we grow are tissue cultured varieties. The colors are very unique ranging from dark reds to striped variegated leaves.